Sims come and go as we all know so it is always good to be able to report that some sims are in it for the long haul. One such sim is The Highlands of Scotland. I wrote a spot light on them back in 2012 and thought it would be good to revisit the Scottish themed sim. 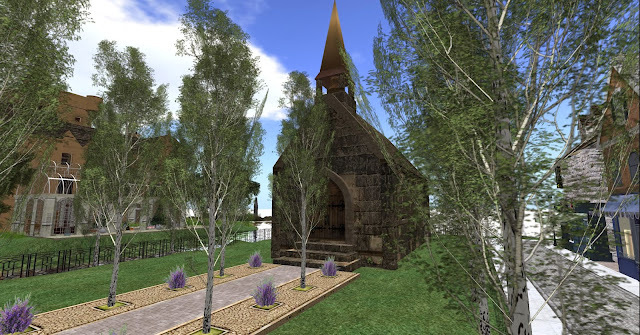 Lauraclaire Benelli strives hard to make The Highlands of Scotland in SL replicate the Highlands in RL. 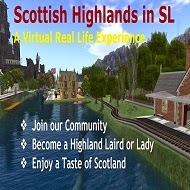 There are lots of things to see and do across the SL Highlands. Experience the numerous events that take place celebrating all that is unique and special to the region. Expect a warm welcome from Lauraclaire and her staff and enjoy the best of The Highlands rich heritage and culture including spectacular music, storytelling, and of course the world famous ceilidhs. Lauraclaire Benelli is the main face (read CEO) of the Highlands of Scotland these days, and is very much a true Scottish lass through and through. She joined SL on 28th February 2007. Lauraclaire’s real-self worked for Local Government for 34 years (20 in HR, Teachers Staffing and the last 14 years in IT where she found my love of the Internet. She plays the Oboe in an Orchestra and loves to sing in choral groups, the main one being Paisley Philharmonic Choir. Lauraclaire’s RL daughter was having a party at home one day and sent her packing to a hotel. Laura picked up a magazine to read and in said magazine was an article on Second Life. The article intrigued her so much that she downloaded the viewer on her return home and she has been here ever since…. 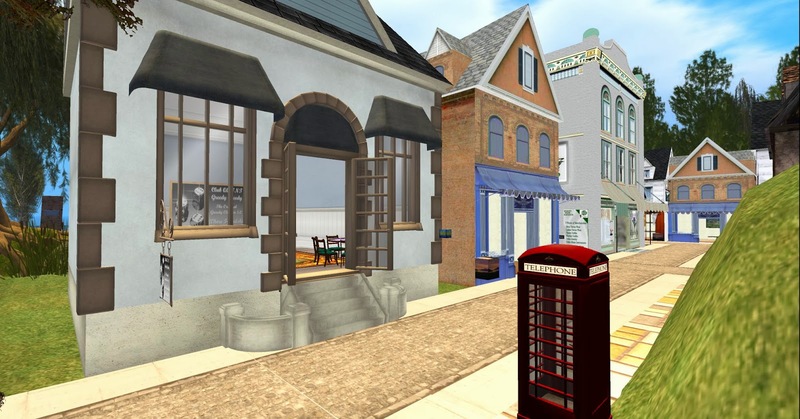 Lauraclaire started her Second Life in a Nightclub called Ally B's. She created a second account 4 weeks after signing up (Elizbeth Beaumont) and they 'both' were dancers for Ally Boyle. Liz stayed there for a few years, becoming a manager within the first few months and working between the main dance club and a ballroom while Lauraclaire moved on to a couple of small clubs before hosting at La Vista Club. 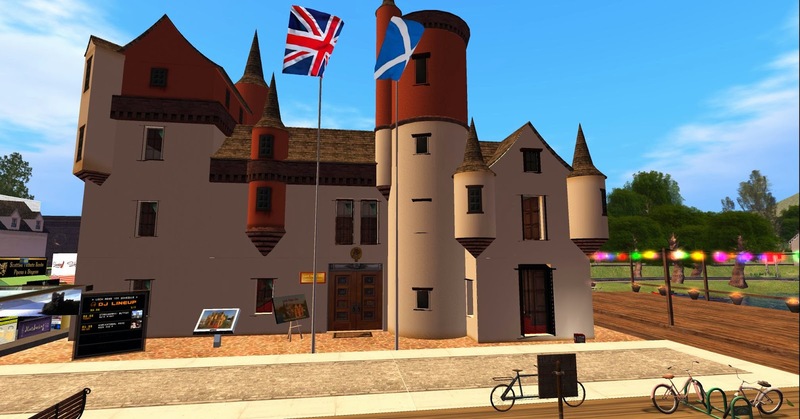 Then on 24th March 2008 a notice was handed out via True Brit Group asking for an interested person to run a Pub in the Scotland Sim of Inverness. The rest is history. 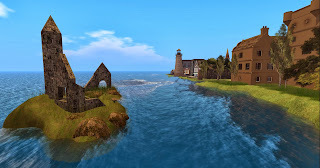 Lauraclaire gets a lot of pleasure bringing a REAL Scotland to Second Life. 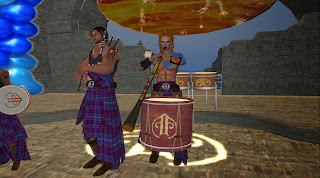 There are many Scottish style clubs and parcels in SL but The Scottish Highlands is now the only fully Scottish set up. 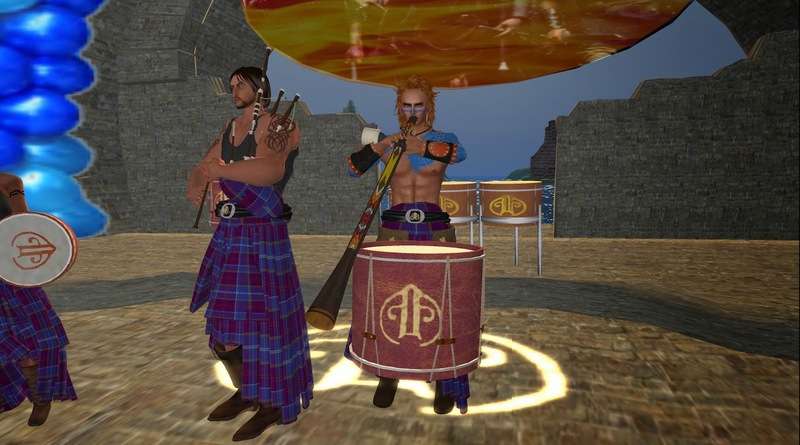 They are often asked by visitors if they are an authentic or true Scottish Highlands' Sim, well not only are most of our DJ's Scottish but many of the support staff are too, and their Depute is an adopted Scot because of his great love of the country/culture (even Scottish Gaelic). If you are planning a RL holiday in Scotland the friendly people of The Scottish Highlands in SL will give you a lot of good hints, tips and B&B's to stay in. They have a good team to run their events and have 3 sponsors, Magnus Brody (born and brought-up in Stirling, the Gateway City to the Highlands), Evil Piers (An Englishman who loves what we do and helps to sponsor) and EllCee Tabac (one of the original Shareholders, who has constantly supported them). Ness, with authentic looking Highlands’ cottages, and at the same time installed Urquhart Station (in true Victorian steam fashion) and the Highlands Railway which winds its way around both sims, through forests, valleys between the mountains, through the Victorian market and along the side of the Loch. Passengers can leap on or off the train at any point. Events generally run from 1pm slt every evening, including Live DJ's most nights, the weekly Trivia Quiz (one of the very few regularly run live in all of SL), a Classical Ball every second Sunday and an ecumenical service weekly at the High Church. They also have a Mahjong venue which is competitive and very popular. 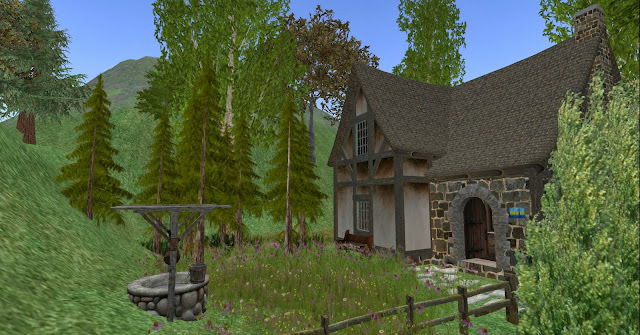 Mostly, the gatherings every evening (as it is 9.00pm in the RL Highlands of Scotland) are about the bleather and the banter - they are gesture free and chat about real stuff in the Loch Ness Inn. The stores available include SF Design, The Tartan Shops, EllCee's Emporium, LC Fashion, SLC Mesh Fashion, Stitches Creations and Mamia Household and Garden. Then there is Nessie their lovely wee Loch Ness Monster.... who pops up every so often to make sure everything is as it should be. Lauraclaire comments “We want everyone to enjoy everything we have to offer and come meet us. As Magnus would say. ‘We are unique in what we offer’”.